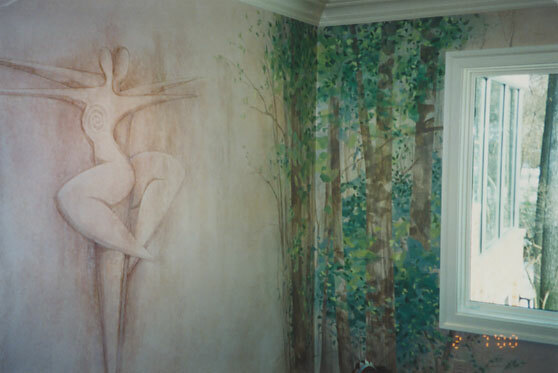 Art Deco style mural and trees to emulate outside the clients new picture window install. Crown molding installed and all paint finishes. Muralist Kay Jones.